Managed WordPress hosting is a big deal — so it’s no surprise then, that just about every hosting company offering these types of services is continuing to iterate and improve on them to try and get ahead of its rivals. One such hosting provider — one of the biggest in the business in fact — is DreamHost. 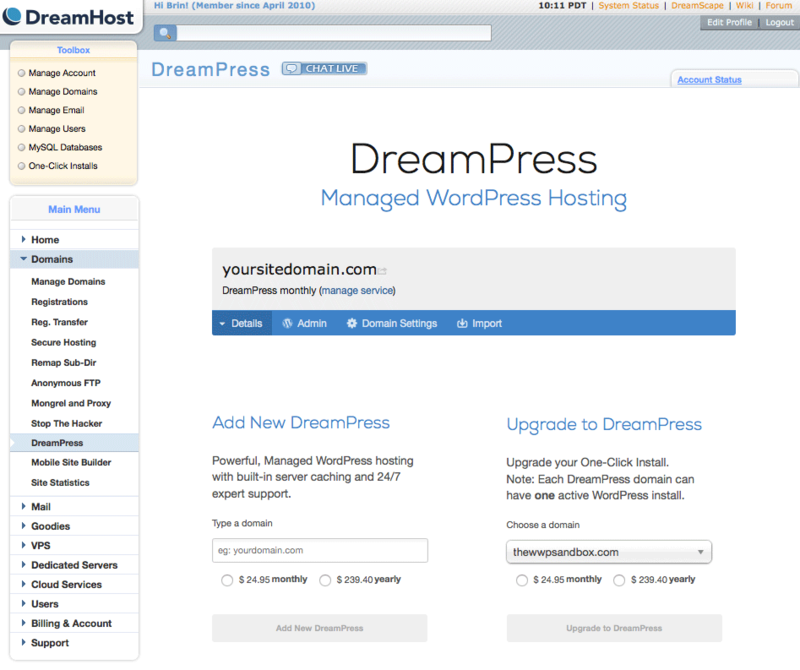 DreamHost first ventured into the managed WordPress hosting market back in mid-2013, with a service dubbed DreamPress. However, by the time DreamPress was officially launched, it was already a little outmatched by some of its rivals and never really seemed to receive as much attention as it perhaps deserved. This time, DreamHost is back with DreamPress 2 — a much stronger product boasting a number of features of considerable interest: such as VPS only servers, PHP 5.5, OpCache and optional HHVM (currently in beta). Very inexpensive (considering the monthly traffic allowances)! The interface for the new DreamPress 2 service is extremely simple. It’s really just an addition page with a few submenus bolted onto DreamHost’s own web hosting customer dashboard — which is neither pretty nor particularly easy to navigate (although still quite a bit better than the usual cPanel-type interfaces used by many other hosting companies**). Compared to that of, say, Media Temple or Flywheel, it’s really an all-around less aesthetically-appealing experience. That said, it does however, do the job it was designed to do — albeit without much finesse. …Hmmm. Still, luckily, this isn’t an interface you’ll be needing to use all that often. Instead, the more-important interface is the actual WordPress dashboard — which is largely unrelated. So let’s move on. Unlike most specialist WordPress hosting providers, DreamHost is also a domain registrar — meaning you can both register a domain with them AND have them host your website. This makes setting up a brand new website (with a brand new domain) with them an absolute breeze! What’s more, DreamPress 2 also comes with an unlimited number of email accounts — so that’s that taken care of out-of-the-box too! Regardless of whether your domain is registered with them or not, there’s nothing complicated about getting started with DreamPress 2. WordPress is automatically installed on each new plan and takes about 40-45 minutes to be fully up and running on your account. Easy! 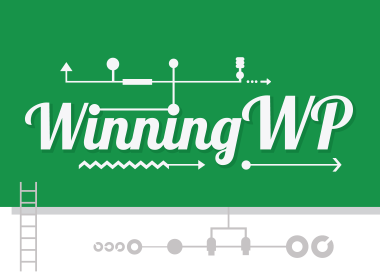 Speed is one of the more critical factors of a high-performing website. Making visitors wait more than a few seconds to see your content is a real no-no! This is, partly, where the true value of managed WordPress hosting comes into play, and on this score DreamPress 2 doesn’t disappoint. Running a number of speed tests on an entirely as-out-of-the-box site (i.e. 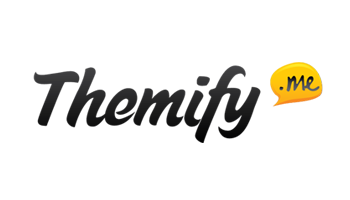 a brand new WordPress install with none of the settings changed, no additional plugins and nothing but the default Twenty Fifteen theme installed) load times for the front page come out somewhere in the region of about between 0.5 and 1.2 seconds*** with an average page load speed of 0.8 seconds (according to our tests)! Here’s our almost-entirely-out-of-the-box**** test site — should you wish to run it through say GTMetrix or Pingdom for yourself: http://webhostingspeedchecks-drmprs2.com (update: site now offline). …which is really just about as fast as I’ve seen any comparable service perform to date! …which is very encouraging. Looking good DreamPress 2! Having only just set up a brand new site on DreamPress 2 and with no other source of data to work with, I can’t really comment on uptime yet. However, I’ll be monitoring this over the next month or so and will update this to reflect what I find… stay tuned! When it comes to testing a site’s performance under load, there’s arguably no better tool than Load Impact. For those who aren’t already aware, what this tool does is allow you to map the effect of sending an increasing number of virtual users to a site over a predefined time frame, thereby simulating how a site’s performance varies with increased load. Using this tool to send from 1 to 250 concurrent users to our above-mentioned test site over the course of 10 minutes gives impressive results (although admittedly our test site is about as basic as a WordPress-powered website can be). I won’t bore you with the details, but suffice it to say that our test had essentially no effect on the site — with our virtual load times remaining significantly below just 75ms throughout (following an initial caching phase — see here for full results)! Note: If you’re in any doubt how good these results are, try running a similar test for yourself on just about any other site you fancy. Up to 2.1 million visits per month?! Some of its competitors offer a few additional selling points. Things such as considerably more attractive and easier-to-use user interfaces, website staging options, free migrations, completely integrated CDN services, client billing transfers, free demo sites, automated malware scans and a choice of server location (note that all of DreamHost’s data centers are US based). That said, most of these “additional” features will appeal only to developers rather than to the vast majority website owners: I’m really only mentioning them here as it’s good to know, in my opinion, a little on what else is out there (just in case you weren’t already aware). It looks like DreamHost may at last have a really very competitive — and extremely fast — WordPress-specific package to put them on the managed-WordPress-hosting map. As such I’ll be keeping an eye on them more keenly from now on. The promise of HHVM is somewhat ahead of the curve (although admittedly this is still in beta) and it’s nice to see DreamHost once again pushing the boundaries. All in all, as long as you’re not expecting a brilliant or beautiful user interface to work with and can do without a few of the more developer-focused features offered by some of the other leading managed WordPress hosting providers (see above paragraph for a few specific examples), then DreamPress 2 appears to perform really rather well. AND if it really does live up to the promise of providing even anywhere near capacity for 2 million visitors a month, then it could well prove an incredibly good-value-for-money option for many medium to even-relatively-large-scale businesses! *Average getting-through-to-this-instant-chat-support times (based entirely on my own experience) of about 10 to 15 minutes. ***Using all of GTMetrix’s default settings and testing from Dallas rather than the default Vancouver (since our test site’s server is physically located in DreamHost’s Virginia data center — rather than Canada). ****Literally all we’ve done is turn all comments and pingbacks off (to avoid spam comments and keep things entirely as standard). Using DreamPress 2 yet? Anything to add? Let us know in the comments! Hi, A very nice review:) I believe that many people would read if you really recommends Dreampress 2 hosting?  compared to other managed hosting, especially : MT and Flywheel …And do you agree that the big issue with MT or some other managed hosting is the uptime ? Hiya, the post isn’t really a ‘review’ as such, it’s more just me taking it for a spin and writing about my initial impressions – which are that DreamPress 2 looks really quite promising. I think it’s also, generally speaking, almost impossible to really recommend one host over another without knowing all about the website that’s to be hosted, mainly because each host has different features and price points etc (note that neither Flywheel nor Media Temple offer HHVM, no plugin restrictions, such high numbers of visitors per month or, I think, a $100 Google Adwords voucher and such inexpensive SSL support, for example) – but yes, for some sites, I can see myself suggesting that DreamPress 2 could be a very good option (although as mentioned in the article, it’s still very new and I’ve personally not yet seen any data on the uptime). Re: MT, yes, I have heard from others (and experienced myself on occasion) less than outstanding uptime. Thanks for the review Brin. I signed up for a Dreampress account yesterday and tried importing my site over. I ran into some issues and after some investigation realized that Dreampress is running mysql 5.1! The latest version requires 5.5+ because of changes to the encoding type (utf8mb4). It seems like the latest version of WP that Dreampress supports is 4.0, which doesn’t include the critical security update in 4.2+ (https://wordpress.org/news/2015/05/wordpress-4-2-2/ ). I chatted with several members of their support team but they all seem to avoid the question (which is so frustrating!). My question for you is: do you know if MT or Flywheel (or WP Engine or Page.ly or any other “Managed WordPress Host”) automatically stays up to date with the latest security updates? Performance is important but I would argue that staying up-to-date with the latest security updates is just as important? Thoughts? Hmmm… that is odd. 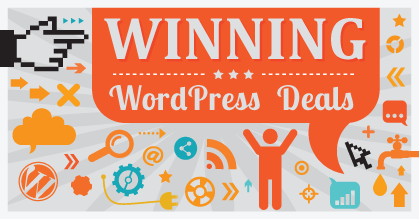 Partly because DreamHost explicitly say on their site: “Automatic WordPress Core Updates. We’ll automatically upgrade your site to the latest version of WordPress when released”. What’s more, although I’m not sure if it’s updated on its own yet, but I just checked and the test site I made for this post is currently running WordPress 4.2.2 (I used their auto-installer). Make no mistake though because as you say: it is paramount to keep up to date with core updates. I would suggest opening a support ticket with DreamPress asap AND also get them on instant chat again. I suspect something is wrong somewhere, somehow. Re’ the other part of your question, I know for a fact that both MT and Flywheel (and if memory serves the other two you mention as well) do all also promise automatic core updates as well. Hiya, I’ve also been using DreamHost for about that long — they really are a company I rather like. 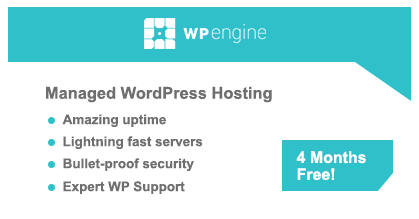 WPEngine are very good WordPress hosts (and yes they do pay out quite a lot of affiliate commission!). 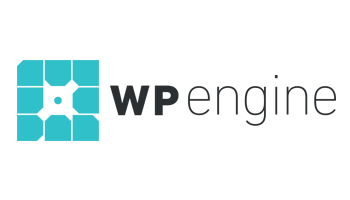 I’ve hosted sites with WPEngine and been impressed. Another one to consider is Flywheel (whom I’m currently hosting this very blog with) — very nice, easy to navigate UI and altogether very promising. Regarding DreamPress: I’d say they’re a solid bet for regular WP sites — especially if you’re already a DreamHost customer since switching over is really simple (DreamHost support will help you and it’s really very painless). After writing the above post, I kept my DreamPress test site running for about another three months and everything was A-OK, but I’m no longer using DreamPress — simply because I’ve currently no need to; although I would willingly host a WordPress site with them again! Oh, and yes: I did see a very good performance benefit compared to their regular shared hosting plans! Does that help? Very well done piece, I must say. Many thanks! I am not the developer, but rather the owner of https://www.orgdyne.com which was recently built on a Word Press theme. Our biggest issue is load time. It is currently loading in about 7-8 secs which is totally unacceptable to me. The developers attribute it to our current shared hosting plan and are recommending migrating the site to a different host. I have looked at several, but now narrowing it down to Dream Press 2 or WP Engine. What I like about Dream Host is that they are a lot more established and are now using static SSDs rather than spinning hard drives. Bottom line. I am looking for loading speed under 2 seconds. What do you think? Very informative write-up. Was looking to try out Dreampress 2. I have Dreampress and really like it. But I have a big troubble. When I have high traffic (from a post in Facebook, for example) apache crashes and I have to contact the support team. Thanks for this! I was wondering, though. I have two sites that I would like to move over to DreamPress. However, I’ll also be rebranding. So I want to create a new domain and have one of those sites redirect to it. What are my options with DreamPress? I just checked DreamHosting’s websites and there is nothing mentioned about “DreamPress 2” there is just Dreampress..
Do you know well this offer? They include dedicated IP or Cpanel? I want to move my blog: http://www.firstquadcopter.com/ , on a new hosting. I want something fast at a reasonable price. Any suggestion?